When most of us go on holiday nowadays we take our trusty smartphones with us and snap tons of photos and videos. Some of the more photographically-inclined may even have a digital camera or camcorder along for the ride too. 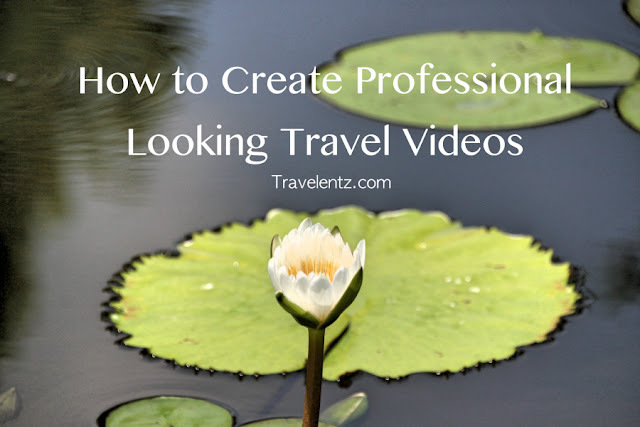 Wouldn’t it be great to take all those photographs and videos and turn them into a professional-looking travel video – the kind that you often see on YouTube and other streaming websites? For the uninitiated it may seem like that is a bridge too far, but honestly it really isn’t that difficult with the tools that are available. Since you already have the raw footage that you need, the first step that you need to take is to cut it. In other words, you need to look at all the photos and videos that you captured, figure out which ones you want to include and in what order, and also remove or trim unwanted bits from the videos. For example, you may have recorded a 10 minute video of when you were watching whales but the whales themselves may have only appeared for 1 minute. So trim out all the unnecessary parts and keep the good stuff around. Enhancing the image quality by adjusting the brightness, contrast, hue, saturation, color, and so on. Adding special effects or filters to alter the look and feel of the video. Including audio as voiceovers or background music. Inserting stylish transitions between photos or video scenes. Placing titles, subtitles or captions where appropriate. Needless to say, it is up to you to decide which of these will work well with your video. But to cut and polish your video, what you’ll need is a powerful yet user-friendly video editor. With it at your disposal, you’ll find that you’re able to accomplish all of the above with no problems whatsoever due to its extensive yet intuitive features. When you’re done, you’ll even be able to save the videos in the most optimal format for the platform that you want to use it on – all thanks to the helpful presets that are available.